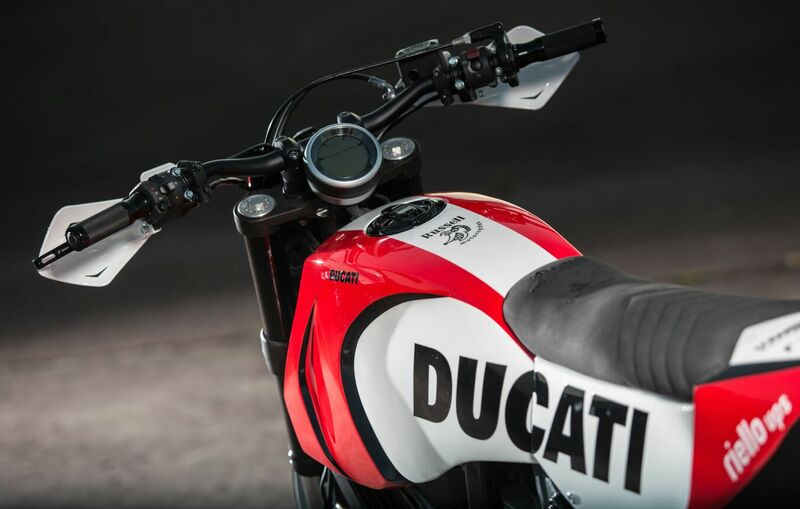 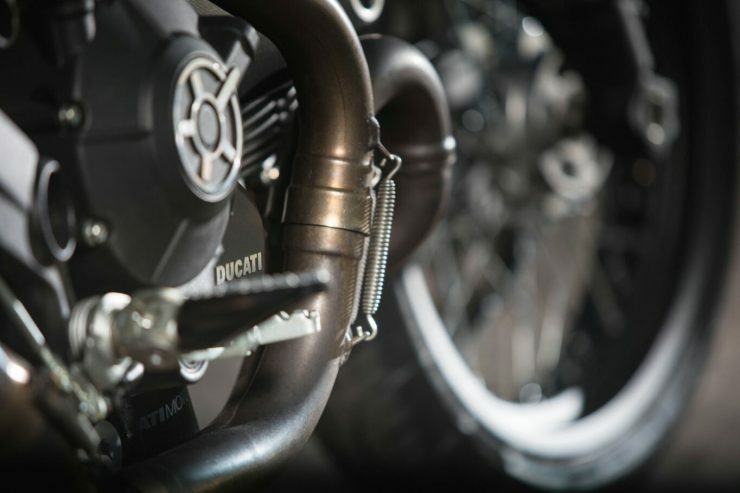 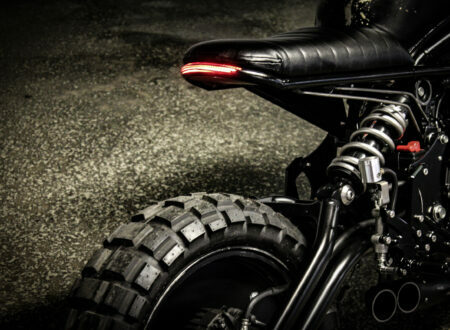 In 2015 Ducati pulled the veil back on the all-new Scrambler. 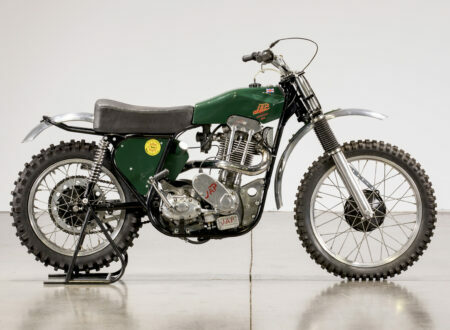 It’s a model aimed squarely at the burgeoning retro-dual-sport segment – a genre that very few really expected to explode in popularity as quickly as it has. 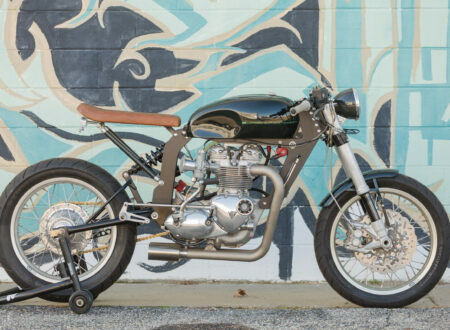 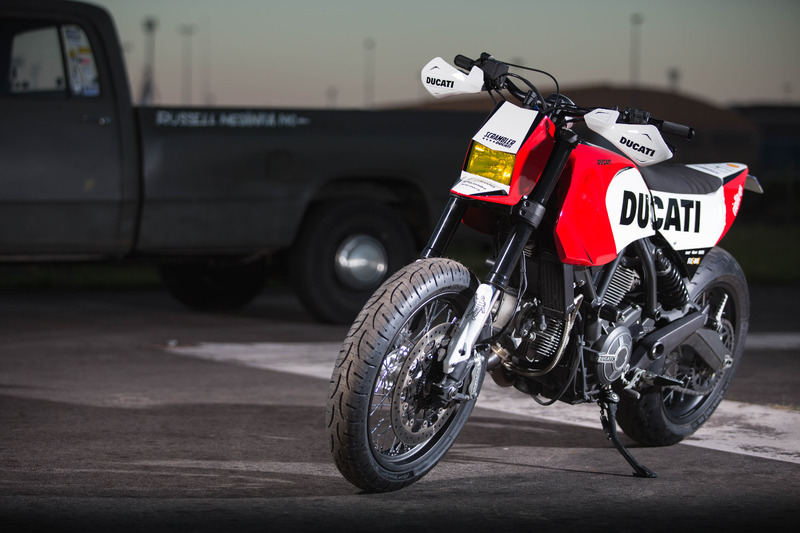 The 803cc L-twin fitted to the top 7 variants of the Scrambler produce 67.1 hp and 45.6 ft lbs of torque, it’s an air-cooled unit that also acts as a stressed member, bolted to a signature Ducati trellis frame. 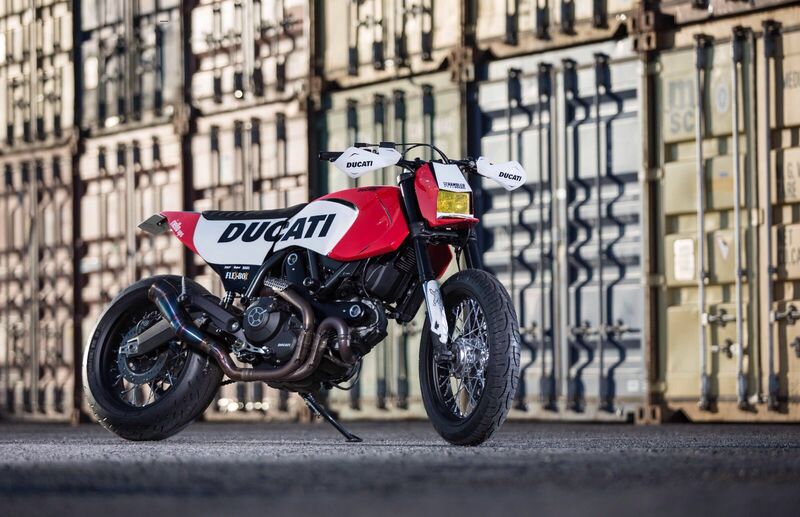 Ducati offer the 803cc version of the Scrambler in 7 variations – Classic, Urban Enduro, Icon, Flat Track Pro, Full Throttle, and Italia Independent. There’s also the 399cc Sixty2, which is aimed at new riders, the budget conscious, and developing markets. In order to draw attention to the extensibility of the new model, Ducati chose a series of custom bike builders and sent them a brand new factory-spec Scrambler, with a budget to build something interesting. 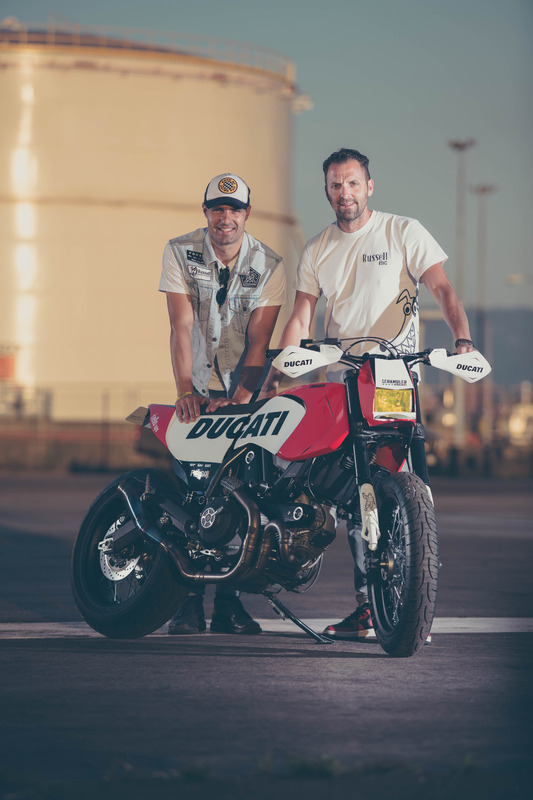 The custom would then be displayed at the annual World Ducati Week, held at the Misano World Circuit, in the Province of Rimini, Italy. 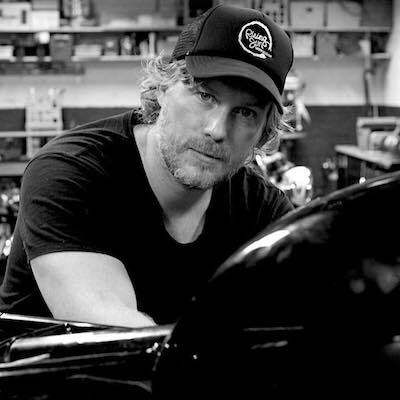 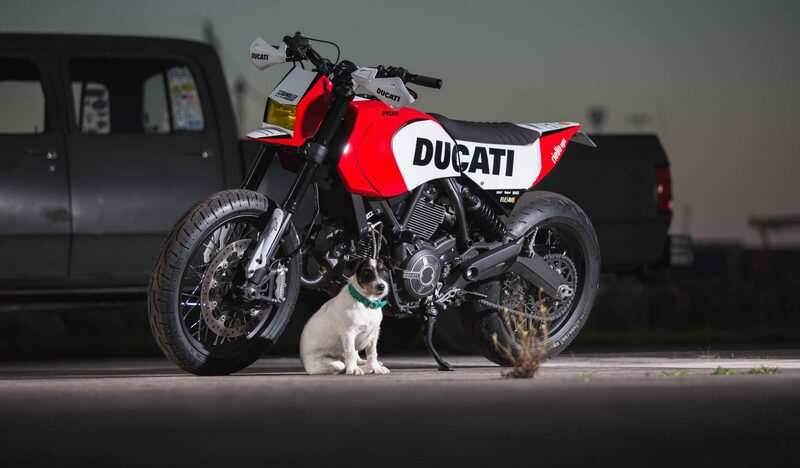 The bike you see here was sent to Russell Motorcycles in Spain, although they’re better known for their cafe racer and tracker builds they also have a long-held love of supermotards – and this was the direction they decided to take their new factory-stock Ducati. Once they’d stripped the bike back to its frame they set about cutting off the original rear subframe and welding on a new bespoke unit with a higher seat better suited to a supermoto posture. 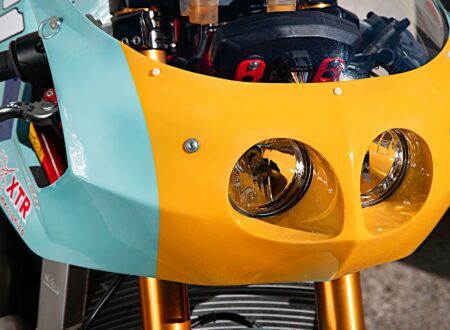 The original fuel tank had the top cut off but the bottom was retained to keep the original fuel pump and regulator – essential for any fuel injected engine. 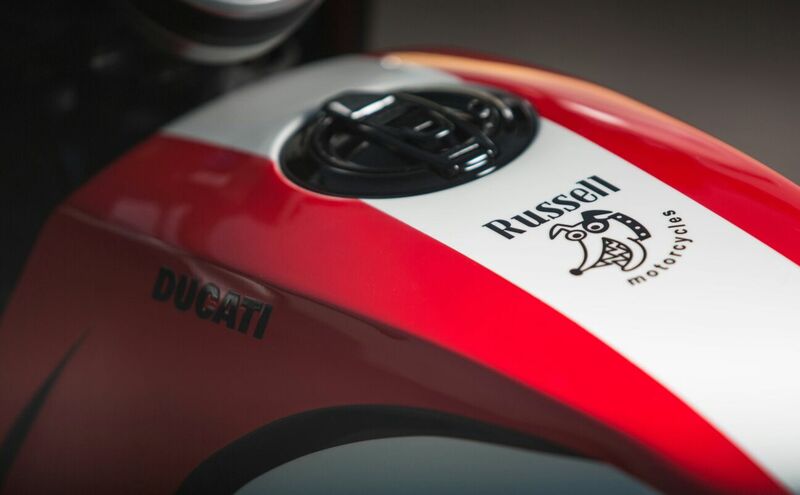 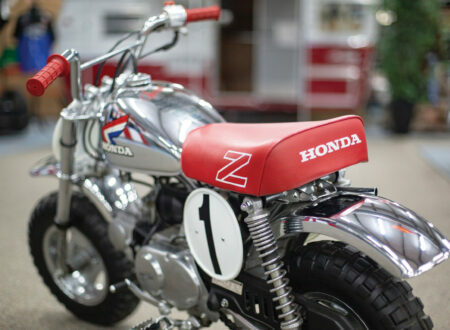 A full-sized clay body was formed right on the chassis to get the proportions correct, and then the team at Russell Motorcycles formed a new two-piece seat and tank from fibreglass, then painted it in the iconic white/red/black livery reminiscent of the Ducati racing motorcycles from the Marlboro-sponsorship era. 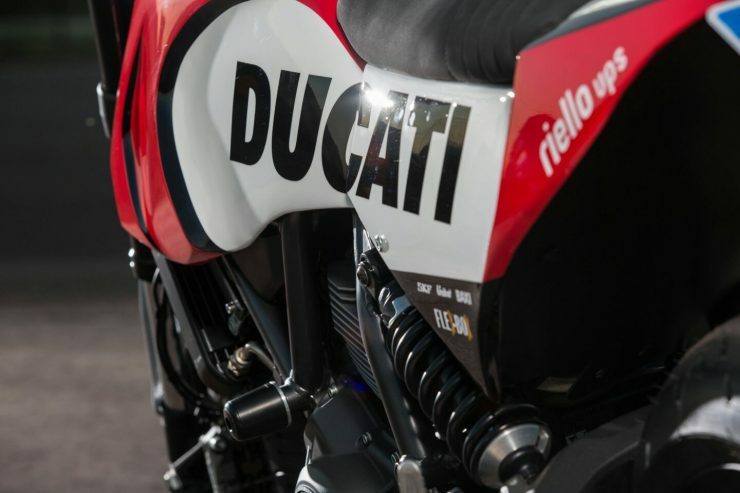 When it was displayed at World Ducati Week it was a crowd favourite, because it brought together Scrambler, Hypermotard, and Grand Prix elements from Ducati’s past and present. 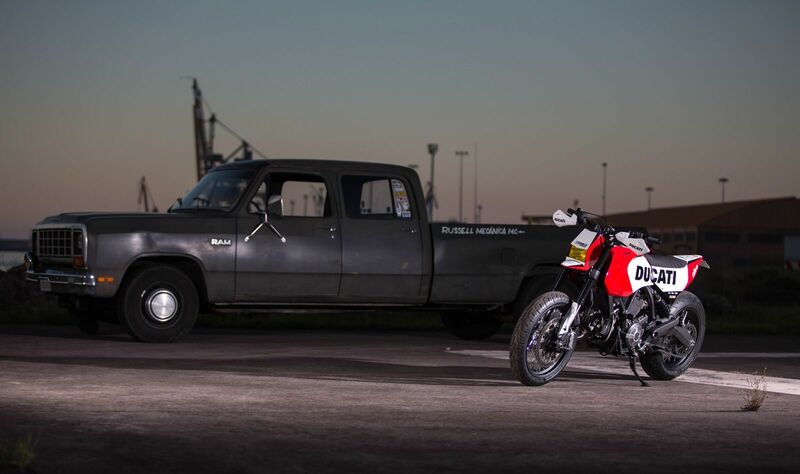 The team at Russell Motorcycles are now offering the one-off Scrambler Supermoto for sale to help fund future projects, if you’d like to read more about it or enquire after buying it you can contact them via their Facebook Page here.